The Series 6 practice test will assist you in passing the Series 6 Exam, which is a test that assesses the test-taker’s knowledge and ability to perform adequately when selling securities products. The Series 6 Exam consists of 100 multiple-choice questions that cover four main functions. These functions are as follows: Regulatory fundamentals and business development; Evaluate customers’ financial information, identify investment objectives, provide information on investment products, and make suitable recommendations; Open, maintain, close, and transfer accounts and retain appropriate account records; Obtain, verify, and confirm customer purchase and sale instructions. The free FINRA Series 6 practice test will address the same content. The test will take two hours and fifteen minutes to complete. 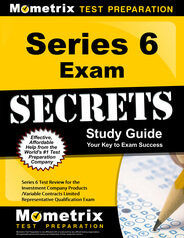 This page focuses on the Series 6 Practice Test, which will prepare you for the Series 6 Exam. The Series 6 Exam is an entry level test to ensure the sponsored candidate knows the minimum amount of required information to perform their job duties. This two hour and fifteen minute test, which includes one hundred questions is designed to validate and assure that the investing public is safeguarded and being informed accurately about investment options. It is extremely critical to have working knowledge and experience of the terms and definitions associated with the questions on the Series 6 Exam. Due to the cost, detail and amount of information covered in the test, it is important to study and prepare for the Series 6 early and often. 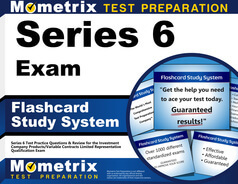 The Series 65 Study Guide provided my Mometrix, are specifically designed to help you obtain the very best test score possible. The passing score is a 70, which mean you need to get 70 questions correct. What Does the Series 6 Test Cover? The series 6 Exam is developed and maintained by the Financial Industry Regulatory Authority (FINRA). It was created to assure that investing public receive sound, knowledgeable guidance when investing into certain products, such as, mutual funds and variable annuities. The candidate need to be associated with and sponsored by a FINRA member to take the Series 6 license exam. Each time you sit for the test, the fee is $95.00. You must make a grade of seventy (70%) to pass. 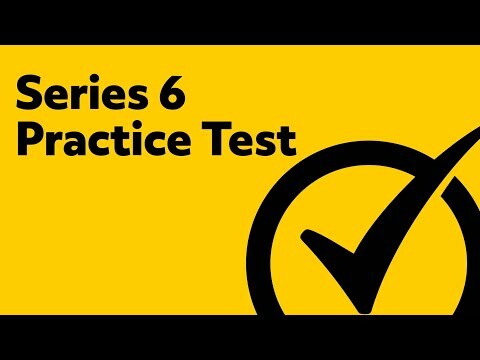 The Series 6 practice test, which closely follows the actual Series 6 exam, covers in-depth analysis and knowledge that is required to meet the requirements for a Registered Representative to do many of the tasks encompassed in the job description. Regulatory fundamentals and business development, covers 22 questions associated with the general knowledge of industry regulations and requirements. This section also covers continuing education, termination and permitted activities for registered and non-registered persons. The Mometrix Practice Test will also get you familiar with these concepts. FINRA By-laws – definitions and qualifications to become a member, ineligibility and disqualification of Registered Representative and Associated persons. FINRA Rules – Electronic Filing Requirements, filing of Misleading information, continuing education, arbitration, supervision, outside business activities, private security transactions and BrokerCheck Disclosure. NASD Rules – Armed Forces status, registration requirements, Investment Company and Variable Contract Products, exempt persons, qualification examinations, waivers, confidentiality and transactions by associated persons. Securities Exchange Act of 1934 – definitions and application, registration and regulation of Brokers and Dealers, Registered Securities Associations, accounts, records, reports, examinations of exchanges, members and fingerprinting. Knowledge of product definitions and classifications, required approvals and procedures for all communications and correspondence. Creating research reports, using designations, and know the definition of regulated investment company according to the Internal Revenue Code. Perform the conduit or pipeline theory and know the way to distribute income and realized capital gains, the “do not call list” rule and other telemarketing requirements. FINRA Rules including communication with the public, ranking and ratings of Investment Companies and mutual funds. Using Investment Analysis Tools and how to properly network with Financial Institutions, phone recording, telemarketing, customer account information and payments that involve market price of a security. Securities Act of 1933 – definitions, formation, prohibitions over interstate communication, fraudulent interstate transactions, communications that do not require a prospectus and the rules and requirements of advertising. Investment Company Act of 1940 – all definitions, classification of investment and management companies, exemptions, registration and literature that is marked as misleading to the general public. How to deliver a prospectus and explain the content, as well as, any other disclosures that are required. Regulations regarding networking, marketing and prospecting. FINRA rules regarding the use of manipulative, Deceptive or other Fraudulent Devices, payments to unregistered persons and SIPC information. Securities Exchange Act of 1934 – definition of application, manipulative and deceptive devices and employment. Securities Act of 1933 – Information required in a prospectus, unlawful representations, rules governing Limited offers and the sale of securities without Registration, summary prospectus, Regulation D and exemptions for Limited offers and sales without regard to dollar amount of offering. Investment Company Act of 1940 – unlawful representation, names and Investment Company Names. Definitions and regulations of all types of communications and correspondence, including public appearances, seminars and advertising. The FINRA and NASD Rule over communications with the public about Life Insurance and Variable Annuities. Investment Company Act of 1940 – Sales Literature that is misleading and reports of affiliated persons. Evaluating clients’ financial status and future objectives while creating a suitable recommendation from the information, covers 44 questions of the test. Uncover facts regarding client’s financial and personal profile, such as; needs, goal, tax status, experience, liquidity needs and risk tolerance. Base investment strategies and recommendations on reasonable suitability, related to each specific client. FINRA Rules regarding Standard of Commercial Honor and Principles of Trade (2010), Know your customer (2090), Suitability (2111), Recommended Strategies (2111.03) and Components of Suitability Obligations (2111.05). Review types of investment returns and the differences between the security markets. Fair Dealing and full disclosure to clients over sales charges, dealer concessions, break point sales, etc. FINRA’s compensation regulations and insider trading prohibited activities. Tax considerations related to all types of investments. FINRA Rules: 2000, 2040, 2060, 2111, 2150, 2320, 2330, 2342, 3220, 3240. Securities Exchange Act of 1934 – Definitions and application, liability and civil penalties for insider trading, employment of Manipulative and Deceptive Devices. Investment Company of 1940 – Section 8(b), 11, 12, 13, 19 22, 23, 35, 37 and Rules 12b-1, 19a-1, 19 b-1, 22c-1, 22d-1, 22d-2, 22e-1. Insider Trading and Securities Fraud Enforcement Act of 1988 – Section 3, 4 and 5. The definitions, details and concepts of each investment product, account and plan, including, the price, yield, tax treatment, contribution limits, withdrawal policy, benefits, rollovers, transfers and beneficiaries. The different types of retirement vehicles and the purpose of each, all education accounts and the differences between them. Know the basic information for Open-end Investment Company, Mutual Funds, Variable Annuity, Life Insurance, Unit Investment Trust, Closed End funds. Investment risk factors, risk / reward with diversification, investment strategies, sources of market information and economic factors. The role of the Federal Reserve Board and how interest rate movements effect the money supply and other domestic and international factors. The representative must inform and disclose account types, characteristics, restrictions, and distributions for all accounts opened. Know the rules and policies for anti-money laundering, Bank Secrecy Act, OFAC, Currency Transaction Reports and Suspicious Activity Reports and what one must do if this transactions occur. The requirements for following the client’s transactions from beginning to end and reporting the order to the client. The proper procedure for reporting any errors or client complaints. Payment limits and frozen accounts, market terms, delivery requirements, trade execution, information required for an order tickets, referrals, commissions and confirmations. As you can see the information for the Series 6 Test is extensive. Without a proper study guide, like the Mometrix Series 6 Study Guide, a person could get lost in all the rules and regulations. That’s why we are here, to help you retain the information you need in order to achieve the best score possible! Mometrix Academy is a completely free resource provided by Mometrix Test Preparation. 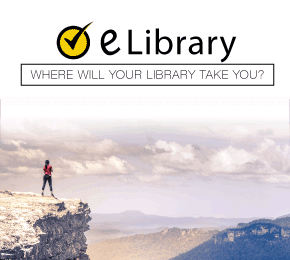 If you find benefit from our efforts here, check out our premium quality Series 6 study guide to take your studying to the next level. Just click the Series 6 guide link below. Your purchase also helps us make even more great, free content for test-takers. Our customers love the tutorial videos from Mometrix Academy that we have incorporated into our Series 6 test study guide. The Series 6 study guide reviews below are examples of customer experiences. The material is well organized for quick access and review of areas I want or need to focus on. It is definitely a time-saver given the time frame I have. The book is very well written, it comes with plenty of good information, explains the material in a concise, understandable way, where the material makes sense and is very easy to comprehend. I purchased the study guide book about 2 weeks ago, and I absolutely love it! It has helped me so much. I am able to clearly understand the material and retain the information. If I could rate this study guide , I would rate it a 5. I appreciate and really like the way the study material is organized and the tips provided for taking the test. I believe I will be prepared to take the series 6 exam sooner than expected but I also know that I will be better prepared than my other colleges who are taking the same test. Thank you for the hard work that you have placed into this study material to make our testing easier for us. This book has kept me from having to pay $200+ dollars the other companies charge for their site access and material. The guide will teach anyone to cultivate habits that will help you pass the state test. 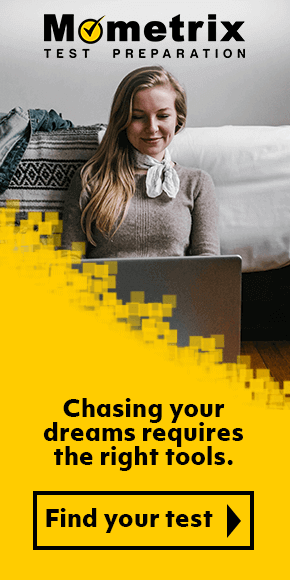 Each chapter is full of tips and anecdotes that will inspire you to be more committed to your goals and embrace the perseverance to reach them. It is an eye-opening tool for anyone needing guidance and motivation to pass the test. If you like Secrets Study Guide as much as I do , this is for you. Your book and the information derived from it has cut my anxiety level in half and has given me hope of success when there was none before. I am actually looking forward to preparing for the exam thanks to the study guide and flashcards I purchased. The material enclosed in the cards is direct, to the point, and cuts through a lot of the material most test prep books include to overload you. In the short time I have been using Flashcards, I have already started to better understand the material for the exam which I am preparing. The guide is laid out clearly and concise. It is short and to the point. This has clarified the material and made it easier to connect the dots to the exam. I find the materials very easy to understand and the explanation of terminologies is very encouraging. The Secret Keys, General Strategies, and Special Report: How to Overcome Test Anxiety give me confidence that I will succeed in taking the Exam.